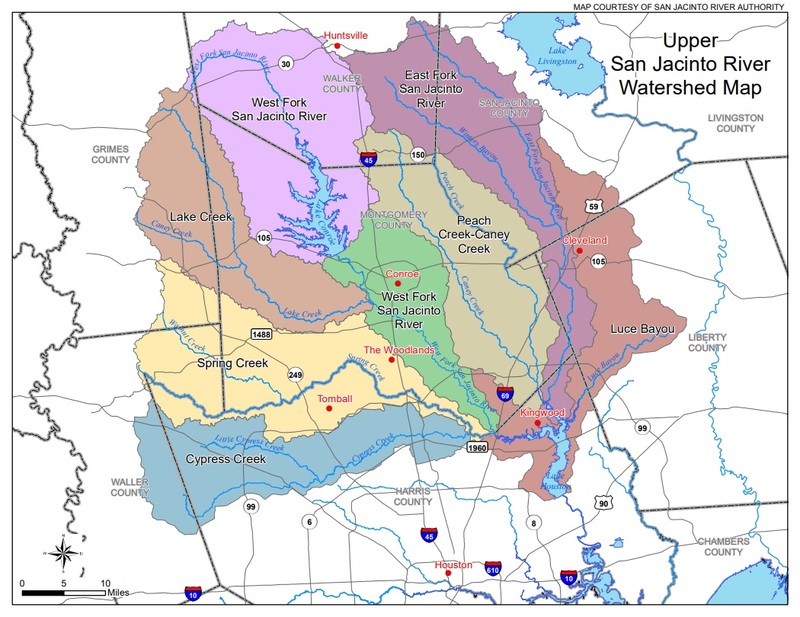 The San Jacinto River Regional Watershed Study would look for ways to enhance warning systems across a seven-county region that the river and its connected channels flow through. The approximately $2.71 million project would also involve updating flood risk analyses for some 535 miles of streams in the watershed’s upper stretches. 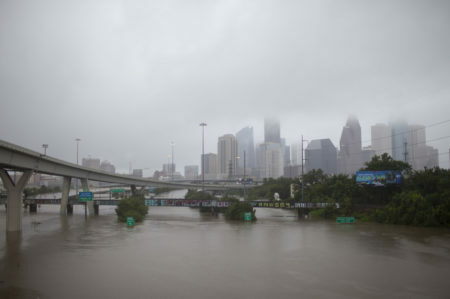 Montgomery County commissioners voted Tuesday to sign onto a cooperative agreement for the plan, which would eventually include Harris County, the City of Houston and the San Jacinto River Authority as well. 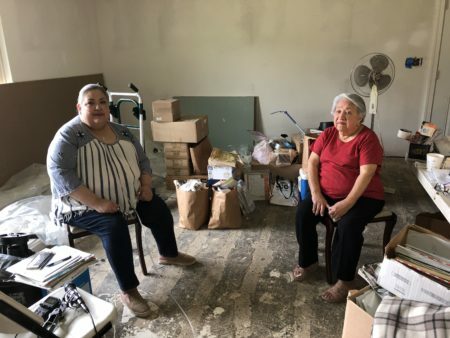 The study would need some local funding, though Montgomery County Judge Craig Doyal’s office said the federal government could potentially cover most of the costs with about $2 million in FEMA grants. The flood control district in Harris County said it applied for that funding in April and is waiting to hear back. 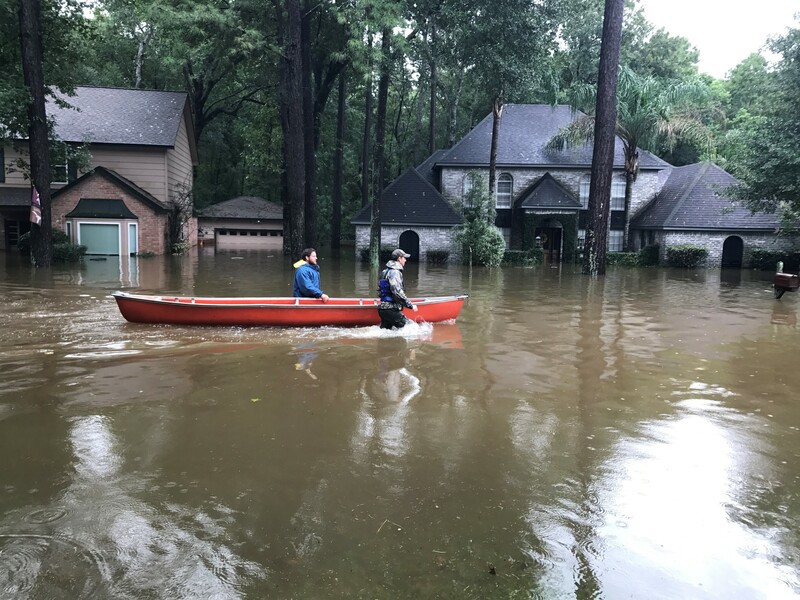 Flooding from Hurricane Harvey in Kingwood, part of the Upper San Jacinto River Watershed. Under the plan, officials would focus first on how to better communicate flood warnings, to the public and among first responders. That effort could include adding new flood warning gauges along the river. 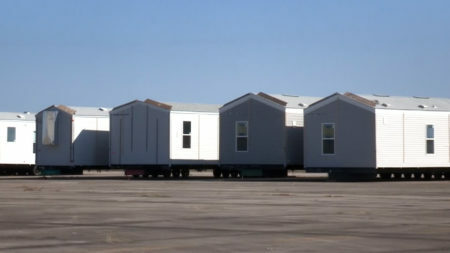 Longer-term, the study would look for ways to “reduce or eliminate” flooding risks, likely including regional detention ponds and a focus on removing sand buildup in the San Jacinto River. The plan also calls for an analysis of historical storm data in the area, along with a study of expected population growth.